Europe, medieval times. 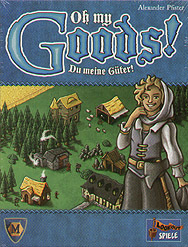 Players take the roles of craftsmen to produce a wide range of Goods. Make use of your production chains to gain a lot of Victory Points.